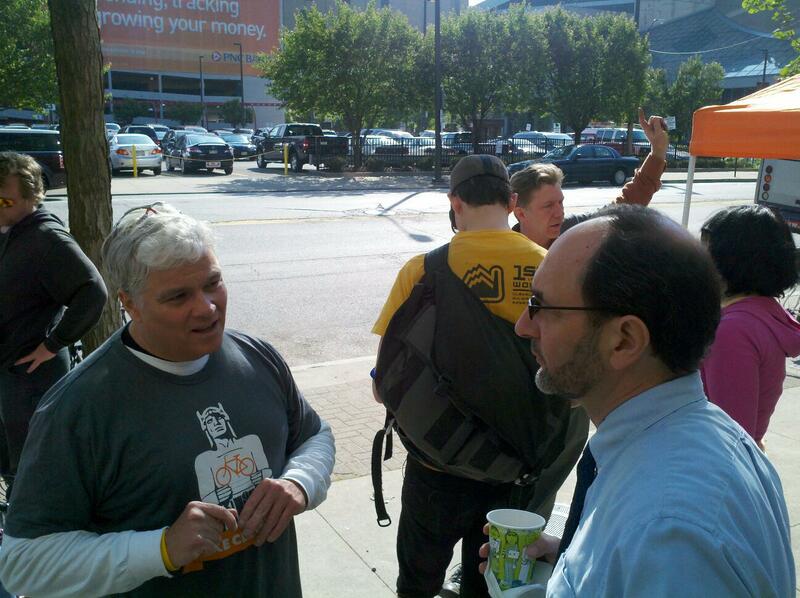 I took the day off work today, ironically so that I could participate in the Bike to Work Day activities going on in downtown Cleveland. 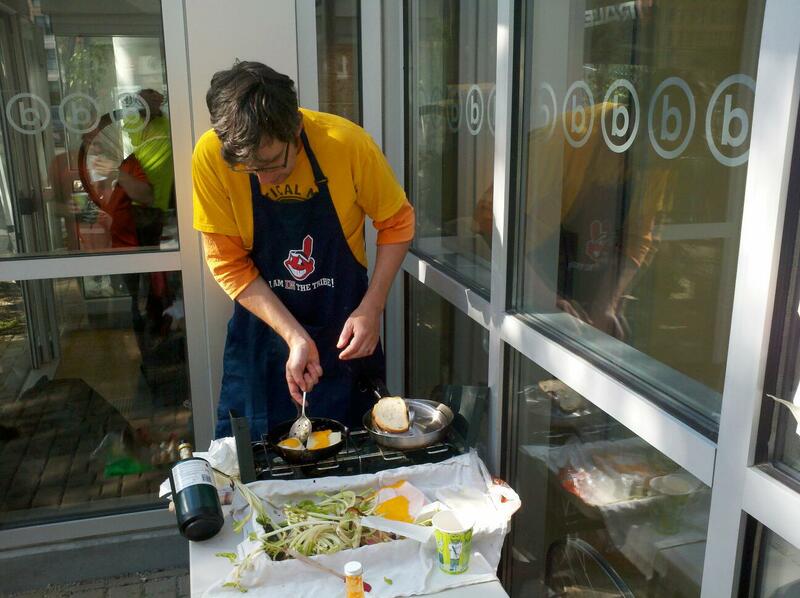 I did the same thing as last year, making the 22-mile ride up from Twinsburg to Cleveland, picking up a friend in Solon along the way. What a difference a year has made. 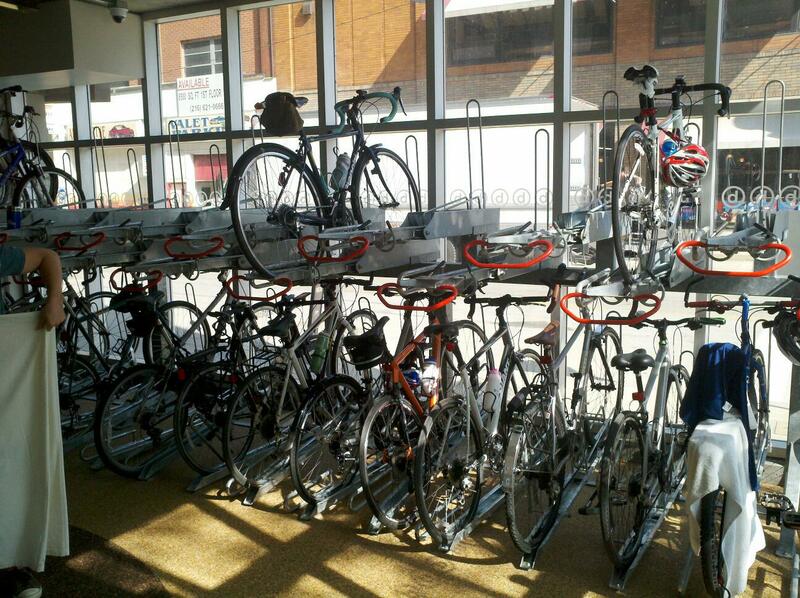 Last year’s event was supposed to mark the grand opening of The Bike Rack, downtown Cleveland’s new bike commuter station, but construction had been delayed, mainly due to the building having been purchased by the company also working on the new casino. 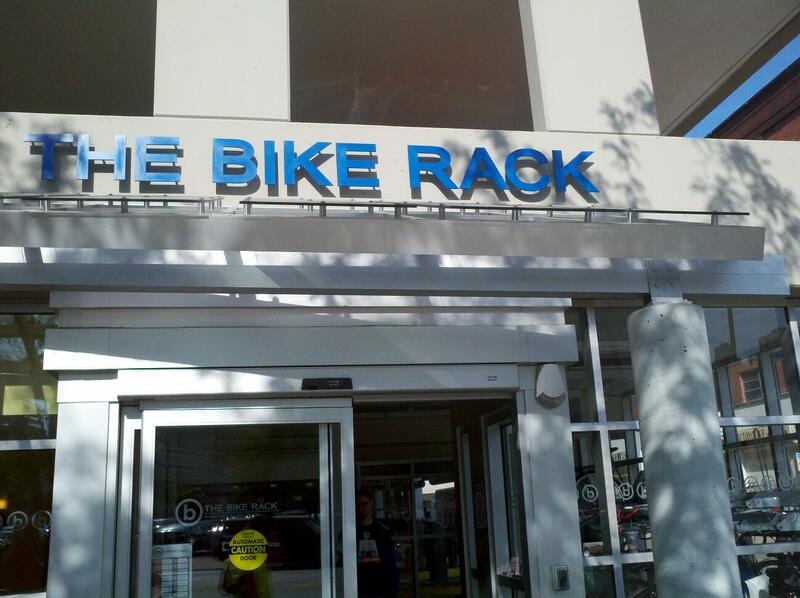 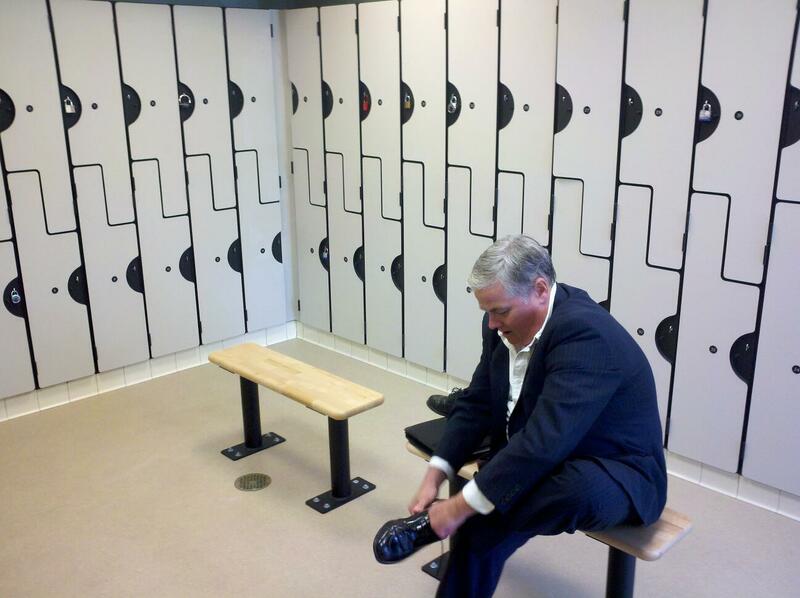 Today, The Bike Rack was open and in full swing, with many bike secured in the storage racks inside, and commuters utilizing the lockers, showers, and changing rooms. 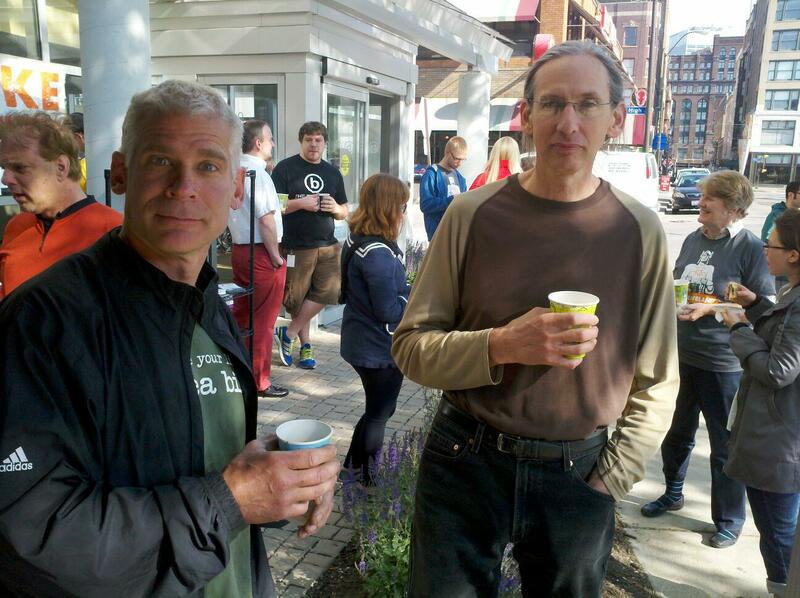 On the way into town, we passed through the Slavic Village neighborhood, site of the ongoing construction of the new velodrome, spearheaded by Fast Track Cycling. 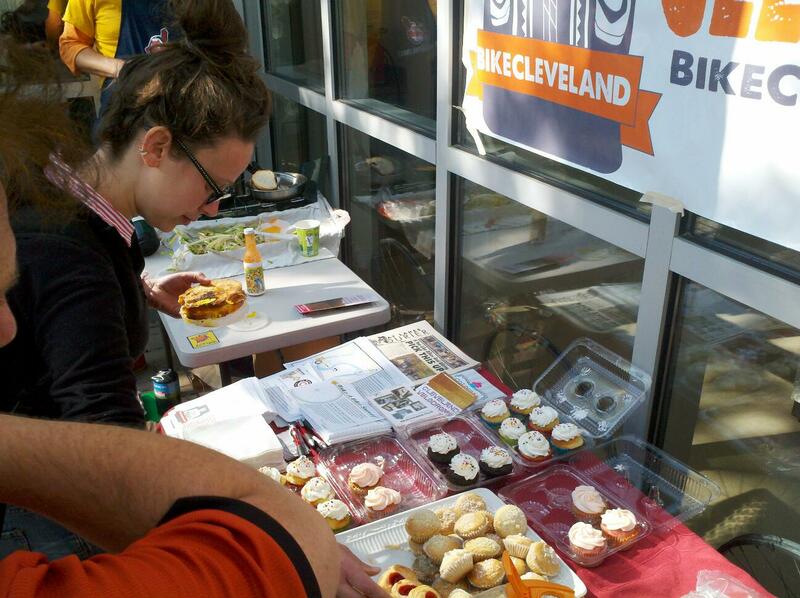 Also new since last year is Bike Cleveland, the region’s new unified, better-organized, and better-funded bicycle advocacy organization. 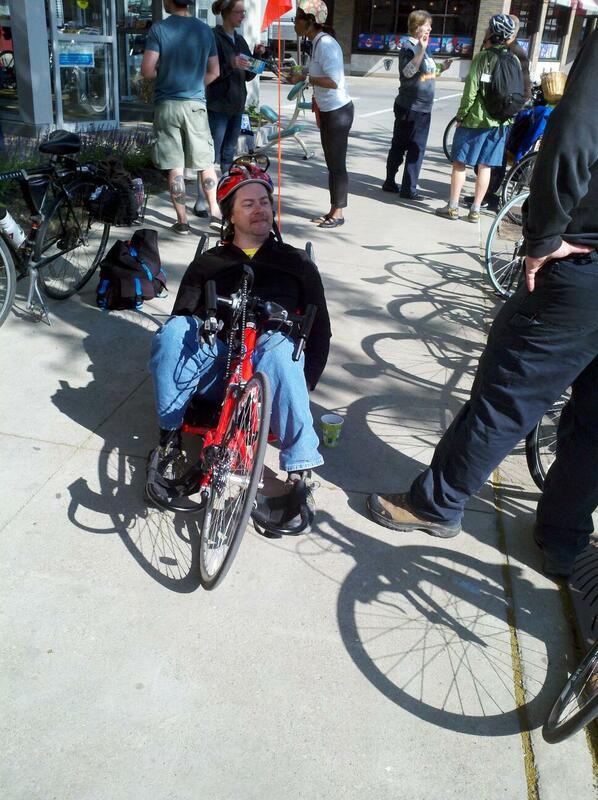 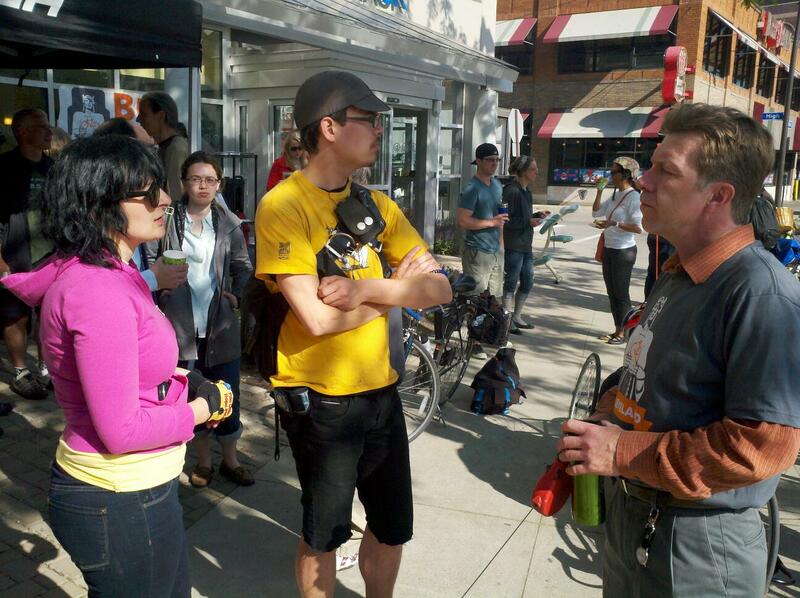 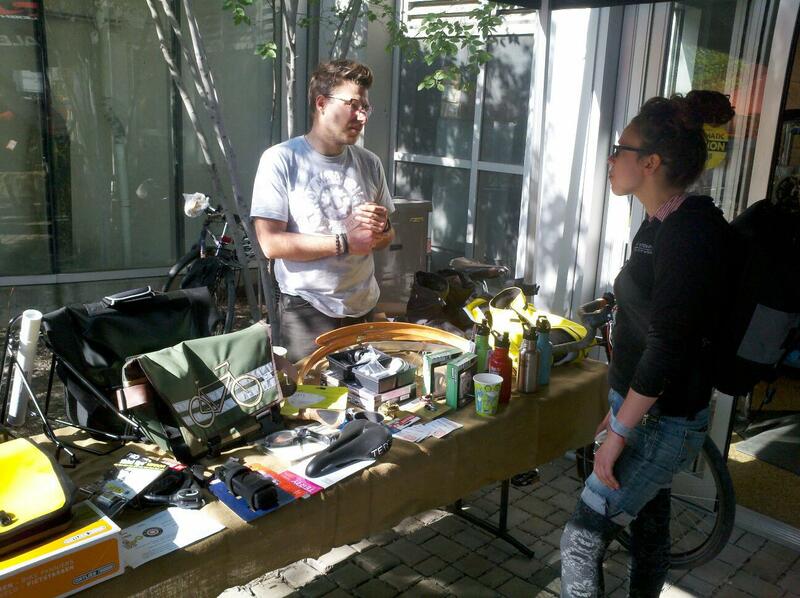 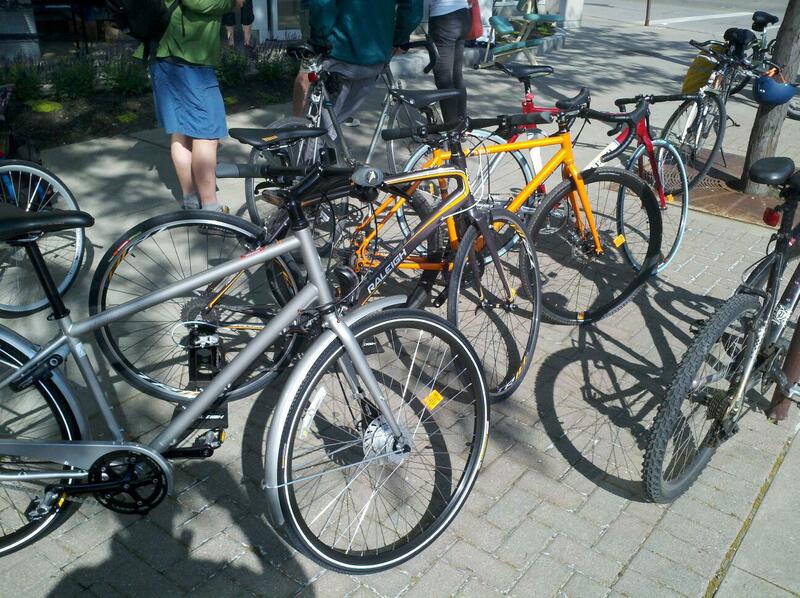 A local bike shop was at the event with an assortment of commuter-oriented accessories for sale. 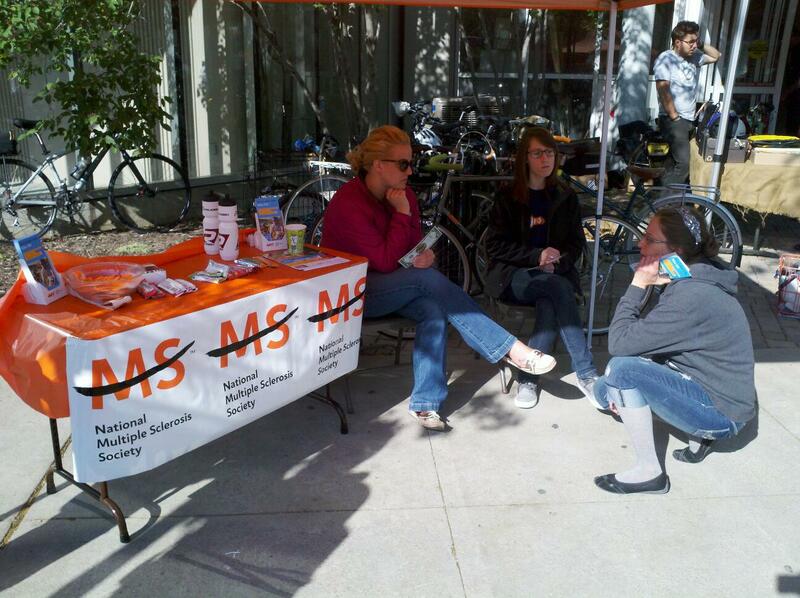 The National Multiple Sclerosis Society had a table set up to promote their local Bike MS Pedal to the Point fundraising ride, with help from National Bike MS Sponsor Raleigh Bicycles. 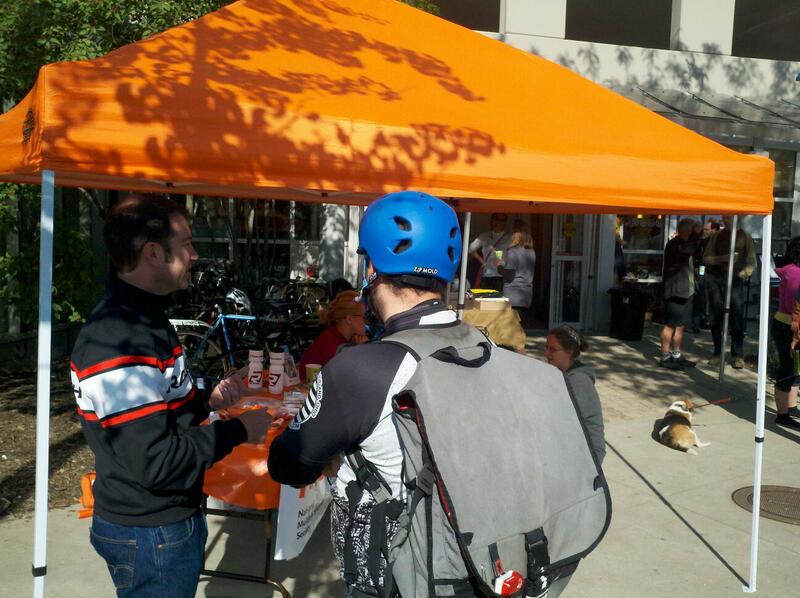 Sean Burkey of Raleigh Bicycles (National sponsor of the Bike MS rides) helps the National MS Society promote the Bike MS Pedal to the Point. 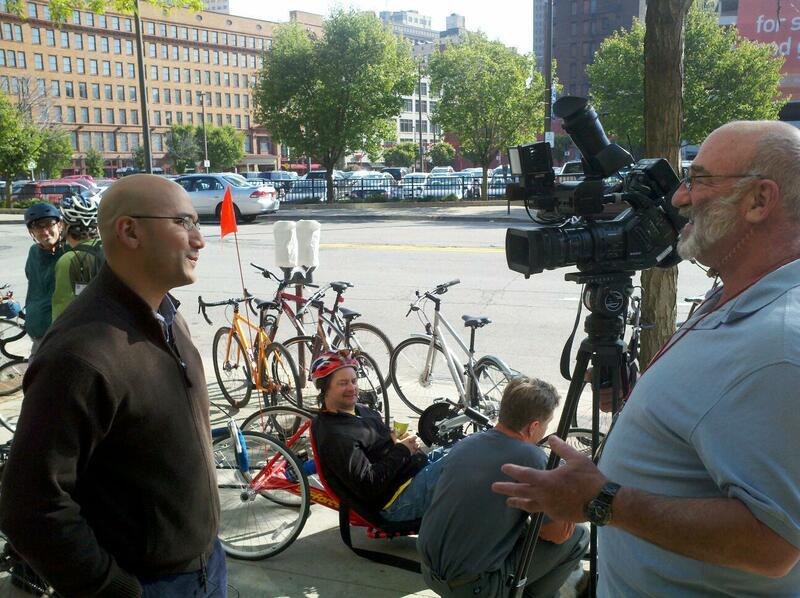 Christopher Alvarado, Board President of Bike Cleveland, speaks to a television reporter from Fox 8 News.